Originally written by Stacey McFadin and published on May 26, 2017 by Food Tank. Government agencies such as the U.S. Department of Agriculture (USDA) and the U.S. Environmental Protection Agency (EPA) set a goal in 2015 to reduce food waste by half by the year 2030. In line with this national goal, large private companies, including Kellogg and PepsiCo, have pledged to cut their food waste by half by 2030. The report states that the upcoming 2018 Farm Bill presents Congress with an opportunity to prioritize the topic of food waste, identifying four areas of focus: food waste reduction, food recovery and redistribution, food waste recycling, and food waste reduction administration. According to the report, the farm bill “provides an appropriate vehicle for the federal government to take concerted action against food waste” because it impacts most areas of our food system. None of the US$500 billion authorized across the food system in the 2014 Farm Bill was allocated for food waste reduction. 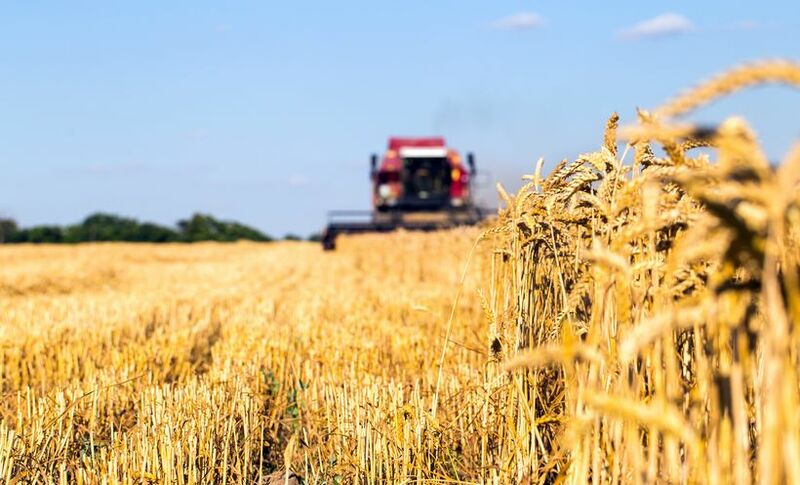 “[F]ood waste has not been included in farm bill debates before, so putting the issue on the radar of our representatives will be a critical piece of any progress,” said Emily Broad Leib, FLPC Director. The report recommends modifications to existing legislation, or the creation of new legislation, that will allocate funding to create awareness about food waste and incentivize behavior. The report states that consumer confusion over food labeling accounts for a portion of the 62.5 million tons of food that is thrown away each year. Manufacturers have great discretion over labeling language, and the labeling regulations vary state by state. The authors of the report argue that through the 2018 Farm Bill, quality and safety labeling could be federally standardized. This would allow clarification of label meaning, and mandate compliance by all players, similar to the dual label system used in the European Union, with “BEST If Used By” and “USE By” language. The authors also see potential for the farm bill to provide funds to educate and incentivize elementary and secondary schools, huge sources of food waste at more than 360,000 tons of wasted food per year. Suggestions include federal grants for food waste audits and education initiatives, extending lunch periods so children have time to eat their food, and creating a designated area where uneaten food can be made available to other students instead of thrown away. The authors further suggest allocation of funding for a national food waste awareness and education campaign, as research found that consumers tend to underestimate the amount of food waste they actually produce. In the United Kingdom, a nationwide food waste campaign was very successful, reducing food waste by 21 percent over five years and resulting in a benefit-cost ratio of 250:1. Other recommendations for food waste reduction include funding new spoilage-inhibiting technologies and incentivizing private sector behavior through food waste certification programs similar to the EPA’s Energy Star Certification program. According to the report, 1.7 million tons of food are recovered and redistributed to the hungry each year. The farm bill has the potential to reduce barriers to donation by funding transportation and processing costs of those organizations that recover and redistribute food. The report estimates the reduction of barriers could amount to recovery of 5.8 million additional tons of food annually. The farm bill could also task an agency to clarify the scope of the Bill Emerson Good Samaritan Food Donation Act, legislation that provides liability protection to food donors and nonprofits that recover and redistribute donations. Such guidance could mitigate donor confusion and promote awareness of the Act’s protections leading to increased donations. The authors further mention that the farm bill could also be modified to allocate grants that encourage food recovery innovations, and to carve out further tax incentives or create tax credits to encourage food donations. Discarded food accounts for the largest share of municipal solid waste in landfills and produces at least 113 million tons of greenhouse gases each year, according to the report. Recycling solutions such as composting and anaerobic digestion could divert roughly 9.5 million tons of food waste from landfills. Through the farm bill, Congress could provide grants to support state and local efforts of organic waste bans and waste prevention plans, as well as provide financial support for recycling infrastructure and technology. The last area of focus in Opportunities to Reduce Food Waste in the 2018 Farm Bill is streamlining food waste reduction efforts. Designation in the next farm bill of an agency or a coordinator could allow for comprehensive national research on food waste, and analysis along the supply chain of where and which food is wasted. Additionally, the creation of a task force with representatives from the numerous agencies involved in the food system could help further the implementation of food waste reduction initiatives. Congrats to FLPC Clinical Fellow Lee Miller! Lee was accepted to the Stone Barns Exchange Fellowship, an exclusive fellowship program for inspirational leaders with big ideas, a deep understanding of the food system, and the skills to collaborate with a diverse coalition of change makers. The Stone Barns Exchange Fellowship, spanning July 10-28, 2017, is an interdisciplinary program designed to connect change makers from different sectors of the food system, immerse them in the principles of agroecology and farm-driven cuisine, and focus them on strategies for accelerating food system change. Exchange Fellows will gather for a 3-week residency at Stone Barns Center for Food and Agriculture as they hone their knowledge and skills, connect with experts and each other and evolve their ideas through hands-on activities, conversation, and project design, ultimately working to support the development of a healthy and sustainable food system. Learn more about the Stone Barns Center for Food & Agriculture. Originally written by Jon Frandsen and published on May 16, 2017 by The Pew Charitable Trusts. Every day, American families throw out tons of spoiled food — or food they think is spoiled because they misunderstand “sell by” labels. Restaurants dispose of usable leftovers, and farmers toss imperfect produce. In the United States, about 30 to 40 percent of all food is not eaten. About 95 percent of that wasted food, 38 million tons in 2014, ends up in landfills or incinerators, where it produces methane, a gas that is one of the most potent contributors to climate change. To protect the environment, relieve hunger and save money, states are trying to reduce those numbers. California, Connecticut, Massachusetts, Rhode Island and Vermont already restrict the amount of food and other organic waste (such as soiled and compostable paper and yard waste) that can be dumped in landfills. Maryland, New Jersey and New York are considering similar laws. States are offering tax breaks to farmers and small businesses that donate food rather than throw it away, limiting the liability of food donors, and standardizing “use by” labels so consumers don’t toss food that is still edible. New Jersey is mulling an award to prompt people to come up with productive ideas for making use of “ugly produce,” foods that are perfectly edible but shunned by retailers, processors and restaurants because of blemishes and other flaws. The issue also is attracting notice beyond state capitols. Some businesses are collecting farmers’ imperfect produce and restaurant food that is on the verge of spoiling or has passed its “sell by” date and selling it to customers at a discount. Others have created apps that connect restaurants and stores that have surplus food to people who want it. The Food Waste Reduction Alliance, which represents the food industry and restaurant trade associations, recently worked with Harvard Law School’s Food Law and Policy Clinic to simplify and standardize “use by” and “sell by” labels, which befuddle many consumers. People toss a lot of edible food because they misunderstand the difference between the two terms. “There has been an enormous amount of change over the past two or three years,” said Emily Broad Leib, director of the clinic. The U.S. spends about $218 billion annually to grow, manufacture, process, distribute and then dispose of food that is not eaten, according to a report released last year by ReFED, a coalition of 30 businesses, nonprofits and foundations that seeks to reduce food waste. The report notes that food is wasted at all levels of the food system. Low market prices, high labor costs, and a market that demands perfect-looking produce prompt farmers to leave food unharvested in the field. Grocery stores and restaurants consistently over-order food. Households waste food because of inefficient shopping and cooking practices, and because they don’t have access to programs that collect waste for compost. Even seemingly small details such as trays in school cafeterias and large plates in all-you-can-eat restaurants contribute to the problem by spurring people to take more food than they will eat. The U.S. Environmental Protection Agency estimates that food waste is 21.6 percent of the garbage shipped to municipal landfills and incinerators, making it the largest single type. In 2015, the EPA and U.S. Department of Agriculture set a national goal of cutting food waste in half by 2030. To achieve it, the EPA laid out a broad strategy, which includes producing less food, using excess food to feed people in need, feeding scraps to livestock, using organic waste to produce energy or compost, and disposing of food in landfills and incinerators only as a last resort. Establishing restrictions on the amount of waste going to landfills is the toughest step to take: Only five states currently have such restrictions, and four of them target only the largest producers. Three of the states also exempt waste producers that aren’t within a prescribed distance of a certified recycling or composting facility. Harvard’s food policy clinic warns that such loopholes create a disincentive for the construction of new facilities. In a 2016 report, the clinic noted that much of central and eastern Connecticut remains exempt from that state’s organic waste law, because there isn’t an approved facility in those areas. Vermont, the least populous of the five, began phasing in its organic waste ban in 2014, applying it to businesses that produced more than 104 tons of organic waste a year. In 2020, when the law will apply to all Vermont businesses and residents, it will be illegal to send any organic waste to landfills. California also phased in its law. As of this year, its ban applies to all businesses (except for some in rural areas) that generate at least 4 cubic feet of organic waste a week. The goal is to cut by half the amount going to landfills by 2020. Since 2014, all Massachusetts businesses, arenas and institutions that generate 1 ton or more of organic waste each week have been barred from shipping that waste to landfills. John Fischer, the director of the Massachusetts organic waste program, said all of the roughly 1,700 waste producers covered by the law are thought to be complying with it. Massachusetts now has more than 35 facilities for turning food scraps and waste into compost, livestock feed or electricity. However, Fischer does not envision his state making the recycling of organic waste mandatory for smaller businesses or residences any time soon. And he cautioned that strict rules may not make sense for every state. Such laws work well in the Northeast, he said, because those smaller states have little space for landfills and relatively high energy prices, which make the cost of turning garbage into electrical power more attractive than it might be elsewhere in the country. The proposed New York law would apply only to companies and facilities that generate 2 tons or more of organic waste a week. It wouldn’t take effect until 2021, and would only apply to businesses with an appropriate waste facility within 50 miles. The bill also includes $1 million for food banks to expand their refrigerated storage and transport capacity. Meanwhile, New York lawmakers already have approved a food waste measure long sought by farmers and anti-hunger activists: a tax credit for farmers who donate unharvested food to food banks. The credit will reimburse farmers for a quarter of the wholesale cost of their contributions, up to $5,000 a year. For decades, environmental groups have clashed with food processors, grocery chains and other retailers over plastic-bag bans and bottle-deposit laws. But they are natural allies in the food-waste fight. “As the industries look at it, these efforts are a ‘win-win-win’ because they keep waste from going to landfills, relieve hunger and create business efficiencies,” said Meghan Stasz, who heads sustainability efforts at the Grocery Manufacturers Association. Reducing food waste can provide an economic boost: An independent study done for Massachusetts two years after it implemented its law found that it created more than 900 new jobs and added $175 million in economic activity. But David Biderman, who heads the Solid Waste Association of North America, cautioned that states shouldn’t rush into adopting broad organic waste restrictions without extensive planning and discussions with those who will be affected. Biderman, whose group represents businesses that haul, process and dispose of solid waste, said many cities and states made that mistake when they began curbside recycling. “Some local governments rushed into curbside recycling before they had adequate facilities and infrastructure set up to handle it,” Biderman said. 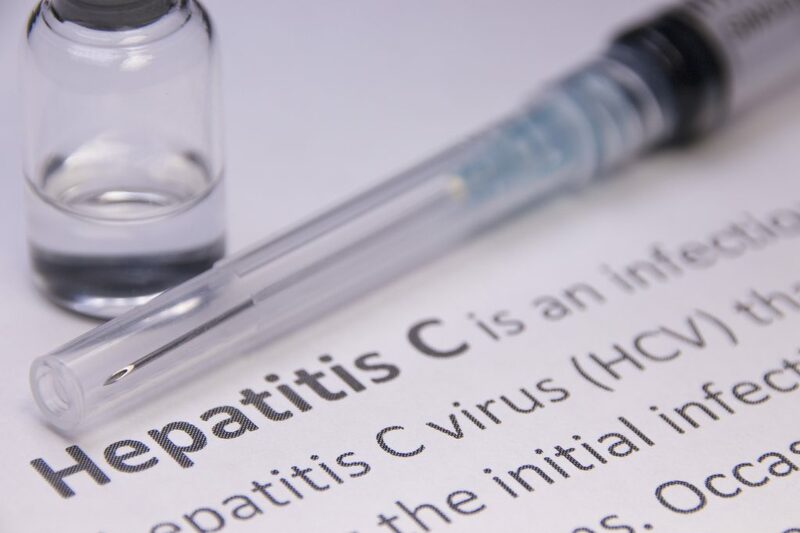 On May 16, 2017, Pennsylvania’s Department of Human Services (DHS) is announcing changes to the state’s Medicaid policy to expand coverage of life-saving drugs to treat Hepatitis C (HCV). The policy change follows the clinical recommendations presented by the department’s Pharmacy & Therapeutics Committee. Under the new policy, the department will authorize the drugs for beneficiaries with test scores of F1 starting on July 1, 2017, and will authorize treatment for beneficiaries with scores of F0 starting on January 1, 2018. Previously, this treatment was only available to individuals whose scores ranged from F2 through F4, unless they also had other clinical complications. The announcement is the results of negotiations with attorneys from the Center for Health Law & Policy Innovation of Harvard Law School, the Pennsylvania Health Law Project, Community Legal Services, and Kairys, Rudovsky, Messing & Feinberg, LLP. In late 2016, the group sent a formal demand letter to Pennsylvania officials on behalf of their clients, Pennsylvania Medicaid recipients. The demand letter notified DHS that unless it agreed to remove categorical coverage exclusions of HCV cures from its Medicaid policy, the state could face a federal class action lawsuit. Read a press release on the agreement from the Wolf Administration. The Center for Health Law and Policy Innovation at Harvard Law School is pleased to welcome the following interns working in the health clinic for the summer! 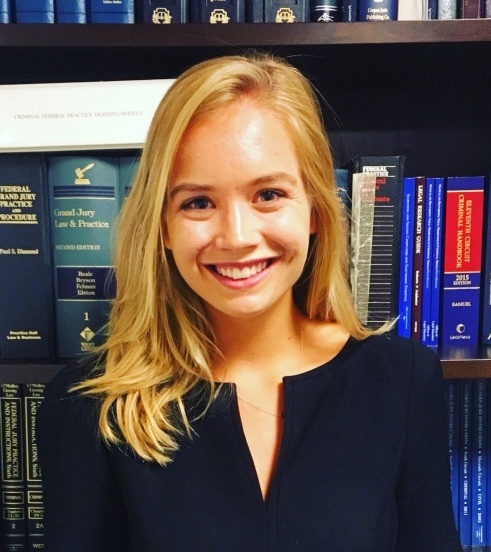 Hanna Ali is a rising 2L at the University of Michigan Law School. At Michigan, Hanna serves on the Law School Student Senate and the boards of the Michigan Health Law Organization and Muslim Law Students Association. Originally from North Carolina, Hanna received her Bachelor of Arts in Psychology and Global Studies with a concentration in Global Health and Economics from UNC Chapel Hill. She is passionate about using legal avenues to serve as an agent for change and to improve the human condition. In her free time, Hanna enjoys staying active and exploring the outdoors. Stephanie Buff is a rising 3L at Suffolk University Law School in Boston, MA. In May 2015, she graduated from Gettysburg College with a B.A. in English, and Spanish/Latin American Studies. In the summer of 2016, she worked at the Board of Hearings for the Massachusetts Office of Medicaid as a legal intern. During 2L year, Stephanie was a law clerk for a practice of attorneys that advise and represent survivors of child sexual abuse, and adult sexual assaults in civil litigation. At Suffolk University Law School, Stephanie is the president of the Health and Biomedical Law Society, and hopes to pursue healthcare law after graduation in 2018. Myles Deal is currently a Master’s student at the University of Pennsylvania and concentrates in health policy. He currently works as a research assistant for the universities Department of Medical Ethics & Health Policy and also the Department of Social Policy & Practice. 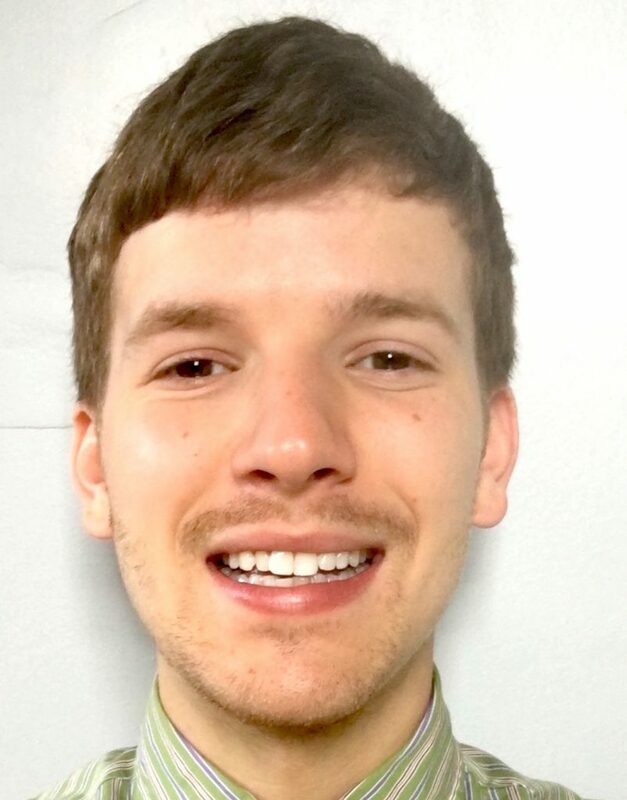 Myles was previously a fellow at the Pennsylvania House of Representatives, assisting Representative Brian Sims’ office in policy related research and constituent services. His research interests include macro and micro resource allocation, bioethics, political science, value-based insurance design, end-of-life care, and global health. During his free time, Myles enjoys reading philosophy (his undergraduate major), running, national and global politics, and watching the New England Patriots. Haley Meyers is a spring 2017 graduate of The George Washington University (GWU) with a bachelor’s degree in Economics. She recently finished an internship with the U.S. Department of Justice, Consumer Protection Branch where she contributed to several civil and criminal litigation cases and focused on the enforcement of statutes that aim to defend the public’s health and safety. While studying at GWU, she spent a significant amount of time on Capitol Hill working for House Leadership and the House Committee on Energy and Commerce. On Capitol Hill she collaborated with FDA, CMS, House Members, congressional staffers, and other stakeholders to prepare hearings that aim to improve and oversee Medicaid, CHIP, ACA implementation, as well as address the opioid epidemic. 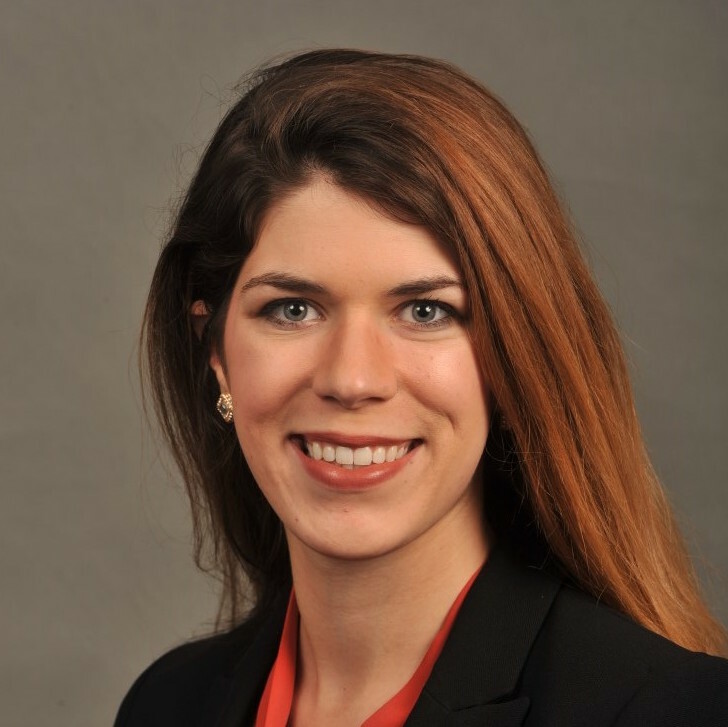 She also served as the Public Policy Intern at Arnold & Porter Kaye Scholer LLP in the summer of 2016 where she helped plan substantial legislative advocacy strategies for several clients in the health space. Her favorite project at Arnold & Porter involved elevating the importance of reforming Medicaid and CHIP to address the specific needs of medically complex children for a special pro-bono client. 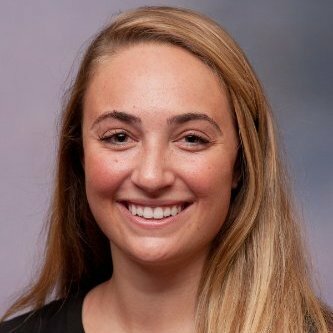 Upon completion of this internship at the Center for Health Law & Policy Innovation, Haley hopes to pursue a career in public health policy and advocacy with a focus on impacting the most vulnerable populations. 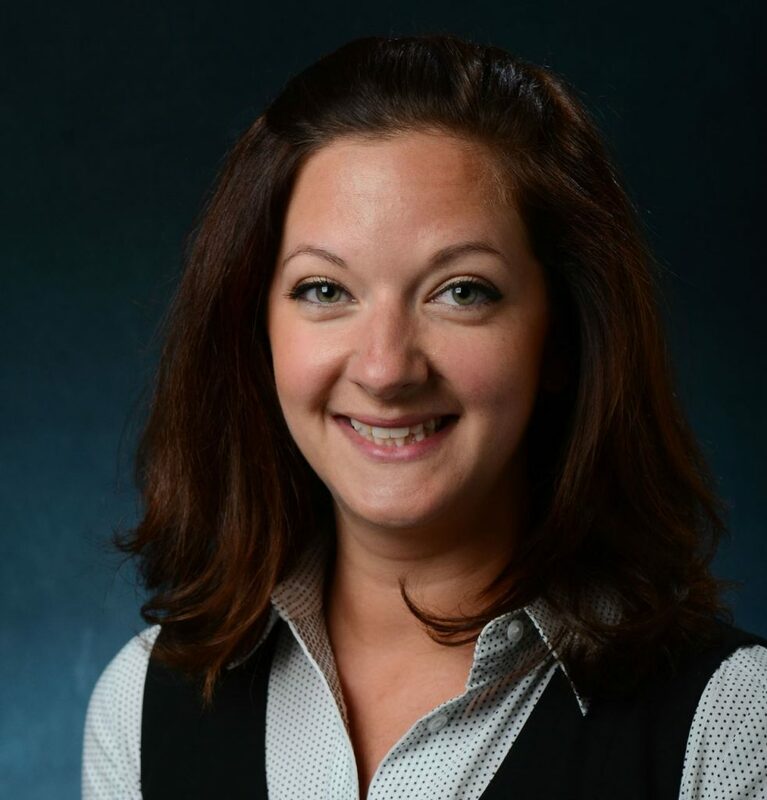 Heather Pearson is a rising 2L at the University of Notre Dame Law School. She received her B.A. in Anthropology and Biology from Wellesley College in 2014. After graduation, she worked as an assistant case writer at the Global Health Delivery Project at Harvard Medical School before transitioning to the role of a public health analyst in the Health Coverage for Low-Income and Uninsured Populations group at RTI, International, an implementation contractor and policy evaluator for the Centers for Medicare and Medicaid Services. During her time as an analyst, she was involved in the evaluations of Medicaid Expansion, the Children’s Health Insurance Program Reauthorization Act of 2009 (CHIPRA) Medicaid Enrollment Grants, the State Innovation Model (SIM) Initiative, the Multi-Payer Advanced Primary Care Practice Initiative (MPAPCP), and the Maryland All-Payer Program. She is the Vice-President of the Health Law Society and the Public Interest Law Forum. After graduation, she hopes to pursue a career in health policy analysis and development in a legislative, regulatory, or advocacy capacity. The Harvard Law School Food Law and Policy is pleased to welcome the following interns working in the clinic for the summer! Ariel Ardura is a rising second year law student at Georgetown University Law Center. She first became interested in food issues while studying Urban and Environmental Planning at the University of Virginia. Prior to law school, Ariel spent a year working for Food Bus, Inc., a nonprofit dedicated to helping schools implement food recovery programs. At GULC, she is involved in the Food Law Society, the Georgetown Green Campus Alliance, and will be working next year with the Food and Health team in the Harrison Institute Policy Clinic. Jennifer is a rising 3L at the University of Colorado Law School and hopes to pursue a career in food and agriculture policy. She grew up on a farm in rural Missouri and spent several years before law school working as a high school guidance counselor. While at Colorado Law, Jennifer has worked for the National Young Farmers Coalition, founded the CU Food Law Society, and is Managing Editor of the University of Colorado Law Review where her research has been on the farm bill and racial diversity in farming. In her spare time, Jennifer likes to take dance classes, cook vegetarian meals, and spend time with her French bulldog, Bernie. Andrew Norkiewicz is a rising 2L at Boston University School of Law, and the President of the law school’s Energy and Environmental Law Society. He is interested in urban planning, food policy, and environmental justice issues both in the US and abroad. His graduate thesis at University College, London focused on enhancing the participation of low-income communities in environmental policy through social media platforms. Outside of law school, his interests include rowing, international travel and culture, and everything James Bond. Eliza Pan is a rising second-year student at Yale Law School and a member of the executive committee of the Food Law Student Network. She became especially interested in food law and policy during college, when she volunteered for food literacy and legal services organizations, as well as studied the impact of food risk on transnational migration as a Weatherhead Center for International Affairs Research Fellow. At law school, Eliza continues to work at the nexus of food, health, and environmental law as Yale Food Law Society President, a Yale Global Health Justice Partnership Student Fellow, an Environmental Protection Clinic Counselor, and a Yale Journal on Regulation Submissions Editor. 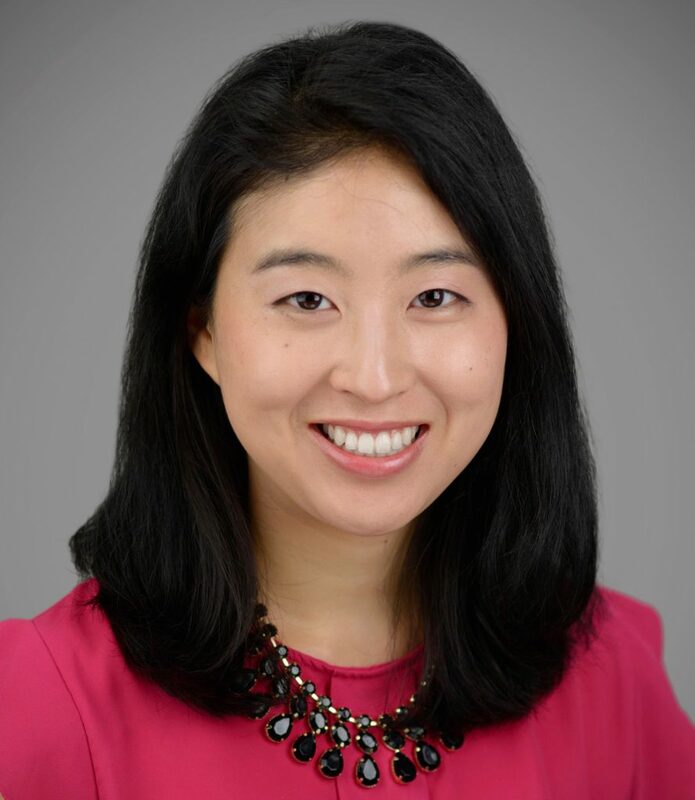 Prior to attending law school, Eliza received her undergraduate degree in Social Studies at Harvard University and worked for a best practices and technology solutions firm. 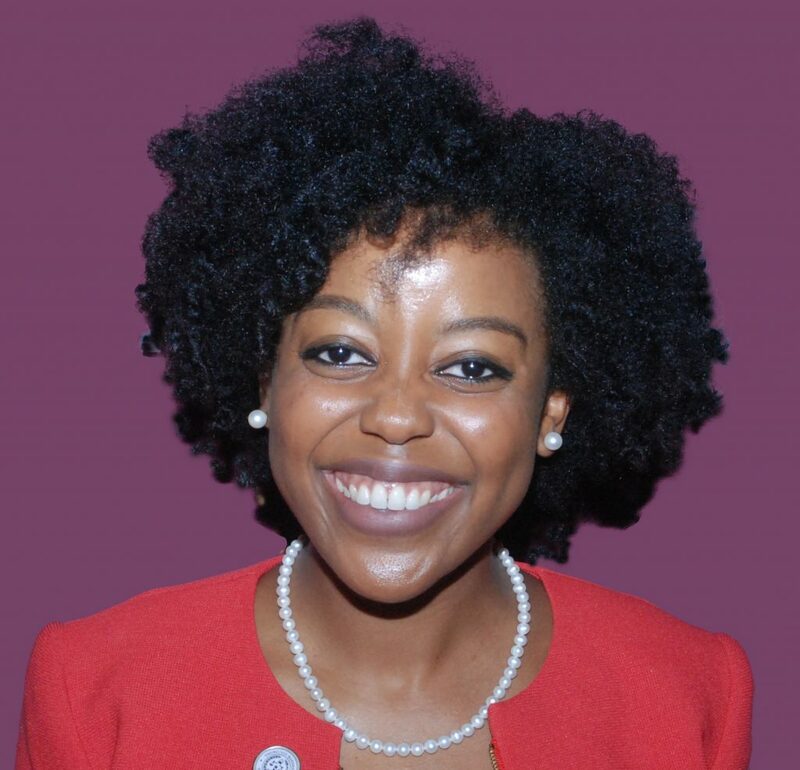 Talia Ralph is a journalist and rising 2L at McGill Law School in Montreal, Canada. She is the co-founder of the McGill Food Law Society, an advocate for immigrant and refugee rights, and a member of Healthy Legal Minds, which raises awareness about mental health in the legal profession. 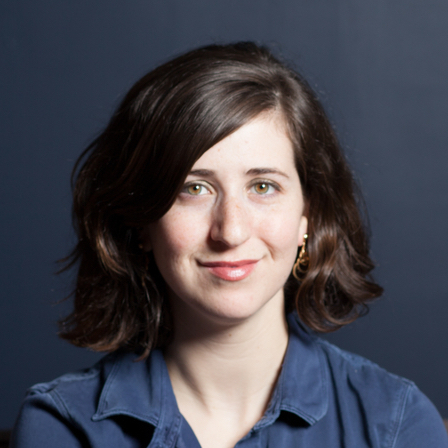 Talia started writing about food when she was 8 years old (in letters home from summer camp, which focused exclusively on the meals) and is now a contributing writer for Eater and PUNCH. She has also reported on food policy and culture for Lucky Peach, Forbes, the Boston Globe, Heritage Radio Network, VICE, and others. Before pursuing law, Talia worked as curator at Facebook’s Media headquarters in New York, and was the founding editor of both Taste Talks and GOOD Magazine’s food vertical. She holds an MA in Food Policy from NYU and an honours degree in journalism from Emerson College, and is deeply obsessed with pizza. Victoria is a rising 3L at Thurgood Marshall School of Law in Houston, Texas. She also serves as a Communications Co- Chair on the Food Law Student Network Executive Board. Victoria became interested in food law in undergrad majoring in Food Science, where she wanted to learn more about the legal implications behind the food system. Her interests in food law include food access in urban communities, food labeling and advertising, and food waste. In her spare time, Victoria enjoys cooking new vegetarian dishes, creative writing and tennis. 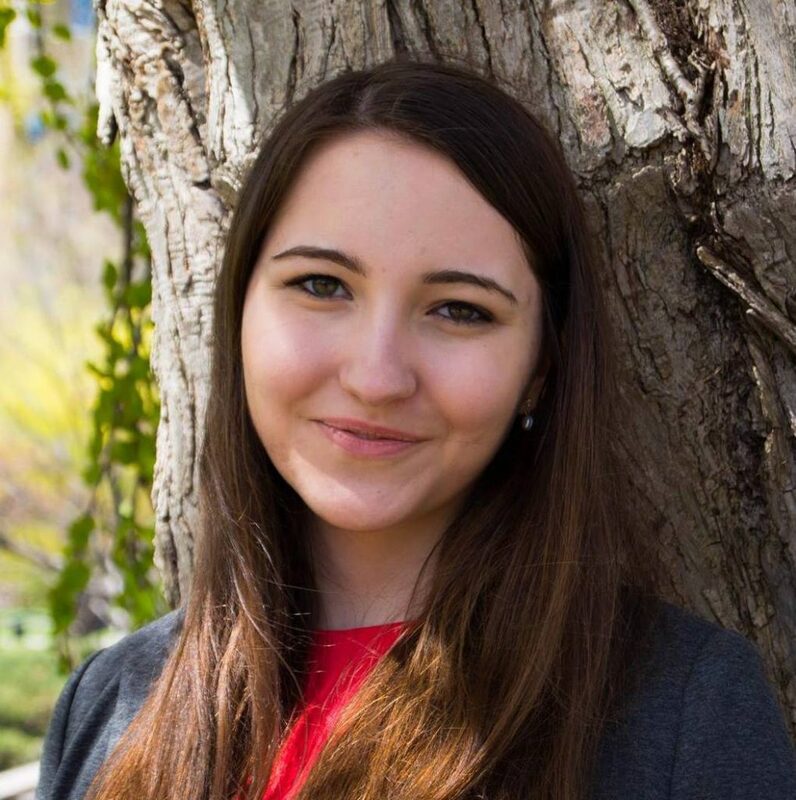 Lexi Smith is a rising senior at Harvard College studying Environmental Science and Public Policy. Her passion for food policy and the environment started with her upbringing as the daughter of a veterinarian, which gave her a window into the importance of animal welfare and conservation. In college, she has worked with the Environmental Action Committee and Harvard College Conservation Society on projects that brought together food access and sustainability. She also had the opportunity to take Professor Emily Broad Leib’s course on food law and policy, which sparked her interest in the clinic. She looks forward to learning more about agriculture and sustainability this summer through her work with FLPC. FLPC staff and students were on hand to receive the award on May 3, 2017. (l-r) FLPC staff Alyssa Chan, students Molly Malavey, Dominique Trudelle, and Katherine Sandson, FLPC Director Emily Broad Leib, and EPA staff Christine Beling and Geoffrey Trussell. The EPA’s Environmental Merit Award Program honors teachers, citizen activists, business leaders, scientists, public officials and others who have made outstanding contributions on behalf of the region’s public health and natural environment. 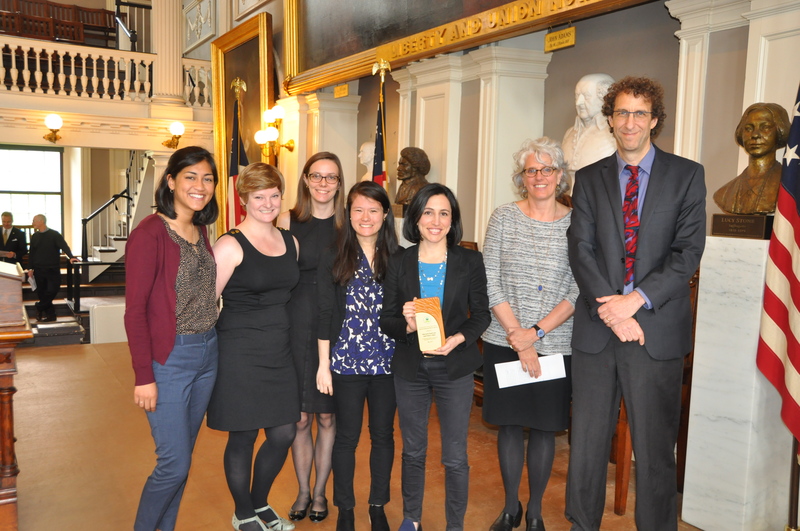 On Wednesday, May 3, EPA New England presented the Harvard Law School Food Law and Policy Clinic (FLPC) with a 2017 Environmental Merit Award, recognizing the Clinic’s ongoing work to reduce food waste, and the resulting emission of over 18 million tons of greenhouse gases each year. Thank you to EPA New England for this incredible honor! Originally published on HuffPost on May 5, 2017. Ready your tractors and plows—the farm bill is upon us. This omnibus package of legislation, reauthorized every 5 to 7 years, shapes virtually every aspect of our food and agricultural system. Yet this wide-ranging, $500 billion piece of legislation, which aims to ensure a safe and sufficient food supply for our nation, fails to take steps to guarantee that the food we produce actually makes it to our plates. Congressional agriculture committees recently commenced hearings to begin preparation for the 2018 Farm Bill, which makes this the perfect time to discuss how the next farm bill can invest in solutions to reduce the nearly 40% of food that goes to waste in the U.S.
Reducing food waste offers a significant opportunity to impact the economy and environment. We spend $218 billion to produce, process, transport, and then dispose of 62.5 million tons of food each year. Wasted food eats up 20% of our nation’s freshwater, cropland, and fertilizer before ending up in the landfill, where it adds 113 million tons of greenhouse gases to the atmosphere annually. At the same time, one in seven Americans are food insecure. Much of the food we currently waste is still safe, edible, and nutritious, and redistributing just 30% of this food could feed every food insecure American. With preparations for the 2018 farm bill already under way, now is the time to rethink the role the federal government can play in reducing food waste to protect people, preserve our planet, and provide economic benefits, while helping us value food as a resource. 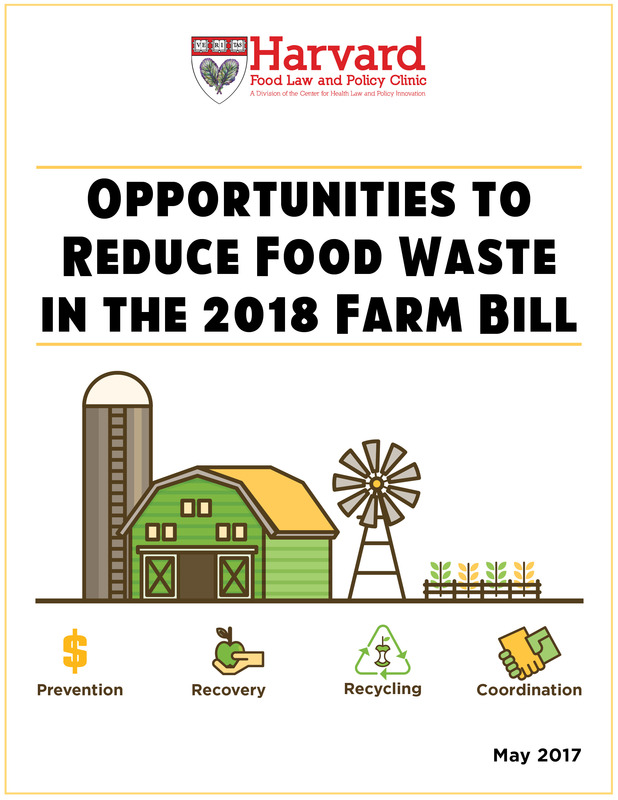 This week, the Food Law and Policy Clinic of Harvard Law School, in partnership with Food Policy Action and ReFED, released Opportunities to Reduce Food Waste in the 2018 Farm Bill, which recommends policies Congress can implement to tackle food waste in the next farm bill. There are myriad opportunities to incorporate food waste into the farm bill, including many simple, easily implemented changes, like tweaks to statutory language, eligibility requirements, or grant selection processes that can allow many farm bill programs to address food waste. For example, the farm bill includes several grant programs to support distribution, processing, and marketing of food for sale. Broadening eligibility language to include food recovery organizations and allow grant funding to support distribution of food that is donated but not sold can ensure less is wasted. For other programs, directing USDA to preference applicants with a plan to donate surplus food, or who pledge to create such a plan, would provide a strong incentive for producers to take steps to donate more and reduce their waste. Congress can also enact new policies in the farm bill to address key drivers of food waste, such as clarifying and standardizing confusing “best by” and “sell by” date labels. Currently, manufacturers have broad discretion over date labels and use a wide array of mystifying phrases that generally indicate a product’s quality, not safety. Misinterpretation of these labels by consumers, businesses, and even regulators (who in some states restrict the sale or donation of such safe, wholesome food) puts more food in landfills. The upcoming farm bill is the perfect opportunity to establish a system that limits date labeling language to two standard options, a quality date and a safety date, cutting down both consumer confusion and wasted food. Industry groups are already on board—the Food Marketing Institute and Grocery Manufacturers Association recently announced a voluntary initiative to just use two standardized date labels: a standard “best if used by” for quality and “use by” for safety—and federal legislation can ensure this standard takes root nationally. The 2018 Farm Bill can also build on state-level pilot programs. Many states and localities have implemented policies limiting the amount of organic waste that businesses can send to landfills. In Massachusetts, implementation of an organic waste ban achieved a five-fold increase in waste diversion, and created more than $175 million in economic activity and 500 jobs in just two years. Measures like these have tremendous potential, but also require significant up-front investments to build waste diversion infrastructure. The farm bill could provide dedicated planning and implementation funding to support state governments that implement similar bans, making the wins seen in Massachusetts replicable across the nation. In 2015, USDA and EPA announced the first-ever U.S. food waste reduction goal—a bold and aggressive goal of halving our food waste by 2030. If the federal government doesn’t invest in food waste reduction, then we will fail to hit the mark. It is time for Congress to tackle the issue of food waste in the U.S.; a farm bill that remains silent on the topic is a missed opportunity to break our food waste habit and achieve significant social, environmental, and economic benefits in return. Today, the Harvard Law School Food Law and Policy Clinic (FLPC), with support from ReFED and Food Policy Action, released Opportunities to Reduce Food Waste in the 2018 Farm Bill, a report detailing how Congress can take action to reduce food waste, with a focus on opportunities to make such changes in the next farm bill. Passed every 5 – 7 years, the farm bill is the largest piece of food and agriculture-related legislation in the United States that addresses virtually every aspect of our food and agriculture system, from crop insurance to the Supplemental Nutrition Assistance Program (SNAP, formerly food stamps). Yet, although each farm bill appropriates nearly $500 billion to support our food system, not a single dollar is spent to ensure that the food produced in this country makes it to people’s plates instead of the garbage. In the US, we waste approximately 40% of the food we produce, and this waste has tremendous economic, social and environmental costs. As we throw 62.5 million tons of wholesome food into the landfill each year, approximately 1 in 7 Americans is food insecure. We spend precious natural and economic resources—about 20% of fresh water, farmland, and fertilizer and $218 billion per year—to produce, process, distribute, and dispose of this food. The farm bill provides a predictable and visible opportunity to address food waste on a national scale. Opportunities to Reduce Food Waste in the 2018 Farm Bill outlines 17 recommendations organized to reflect the priorities outlined in the EPA’s food waste reduction hierarchy. Similar to the EPA hierarchy this report breaks food waste recommendations into categories based on whether they are intended to reduce food waste at the source, recover more food for those in need, or recycle food scraps through composting or anaerobic digestion. The report also proposes a system of government coordination to ensure that food waste solutions can be effectively implemented and remain a federal priority. Each recommendation is followed by implementation opportunities, which describe how the policy change could be incorporated into the farm bill or other federal legislation. The recommendations vary widely in scope, from small modifications that could add a food waste reduction lens to established programs, to new programs that could catalyze larger-scale food waste action and awareness. For example, the farm bill currently includes several grant programs to support distribution, processing, and marketing of food for sale. Congress could broaden the eligibility language for these grant programs to include food recovery organizations. This simple tweak could provide much needed support to food recovery organizations to enable them to purchase necessary equipment and infrastructure, such as refrigerated vehicles, kitchen equipment, and storage space, as well as to pay for labor needed to prepare and transport donated food. Congress could also use the next farm bill to launch a national consumer education campaign to raise consumer awareness about food waste and ways to reduce it. According to ReFED’s estimates, such a campaign would have the potential to divert 584,000 tons of food waste from the landfill and create $2.65 billion in economic value, annually. As the first farm bill to be written since the adoption of the national food waste reduction goal—to halve food waste by 2030—the 2018 Farm Bill represents a critical opportunity for the federal government to take effective and wide-ranging action to reduce food waste. The solutions that the federal government can implement through the next farm bill can increase profits and efficiencies across the food system, help people in need access to wholesome food, and protect our planet from harmful environmental consequences associated with waste. This report builds on a growing series of reports and resources by FLPC describing policy changes at various levels that could help reduce food waste. In March 2017, FLPC and the Natural Resources Defense Council released Don’t Waste, Donate: Enhancing Food Donations through Federal Policy, a report outlining policy changes the federal government can implement to better align our laws with the goal of donating surplus food to those in need. In fall 2016, FLPC released Keeping the Food out of the Landfill, which offers policy recommendations specific to states and localities. Read the press release on Opportunities to Reduce Food Waste in the 2018 Farm Bill.